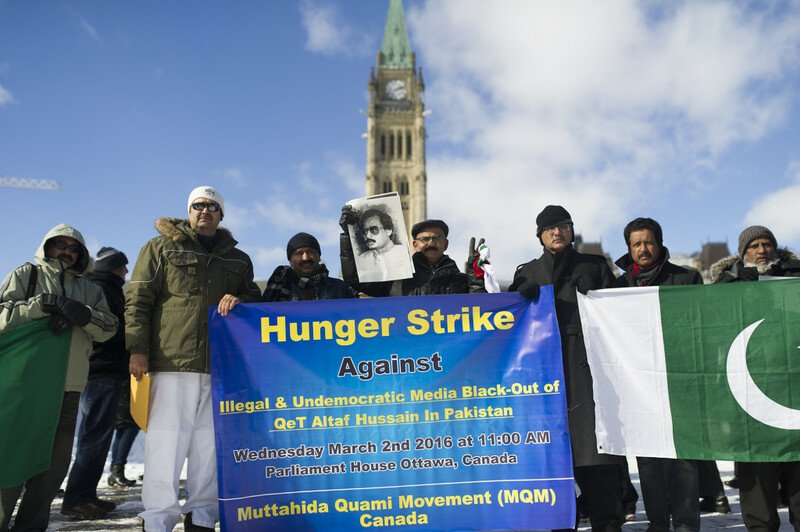 The group Muttahida Quami Movement (MQM) Canada staged a demonstration at Parliament Hill on March 2, 2016. 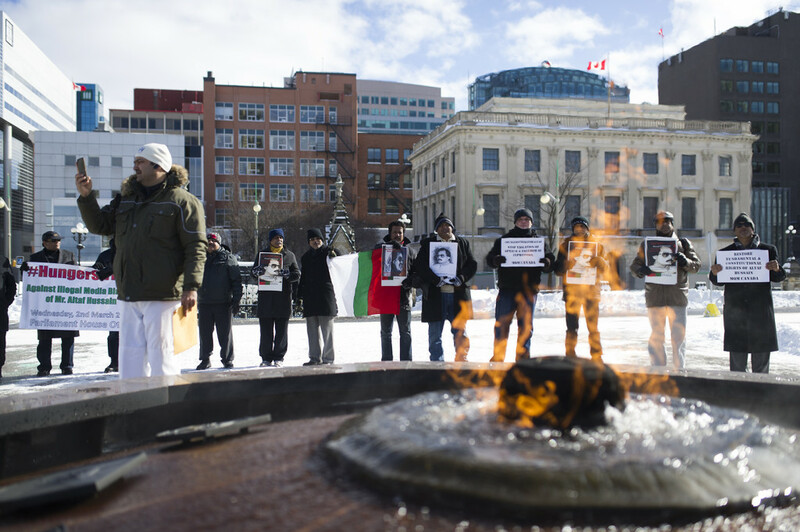 The demonstration was condemning the media ban of Altaf Hussain, the leader of the MQM party in Pakistan. 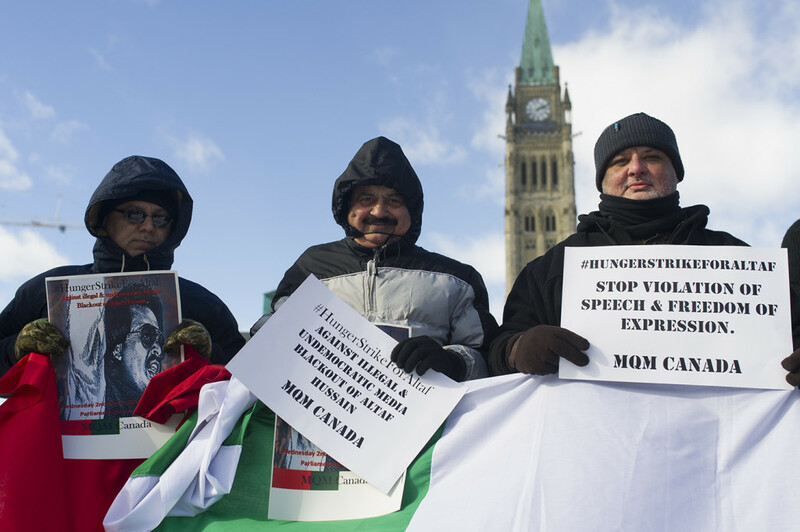 They see this ban as being a violation of his basic rights, as being unconstitutional and that this suggests that the government is using the media regulatory body as a political tool. March 3, 2016.